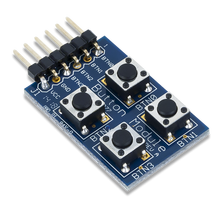 6-pin Pmod connector with GPIO interface. Pmod BTN gives users four momentary pushbuttons for easy user inputs to a system board. Related links to "Pmod BTN"